The second annual Jane’s Walk in Abbotsford is scheduled from May 4 to 6, 2018 at various locations throughout the community. Jane’s Walk, inspired by internationally renowned visionary planner, Jane Jacobs, is a series of free neighbourhood walking tours that help people get in touch with each other and where they live. It’s about bridging social and geographic gaps and creating space for cities to discover themselves. 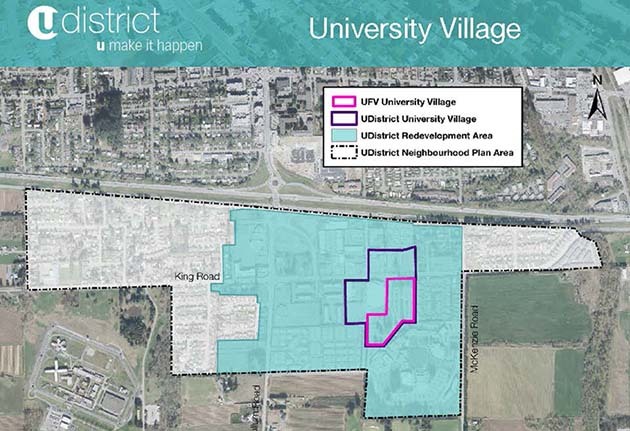 Craig Toews, Vice President External, UFV & Mark Neill, Director of Community Planning, City of Abbotsford, will lead a walk sharing the vision of the U District, adjacent to the UFV Abbotsford campus, as well as the campus mater plan. Their walk starts at 10 am on St, May 5, and continues to 11:30 am. Meet outside Abbotsford Centre on the East side — bordering UFV Parking Lot 4. 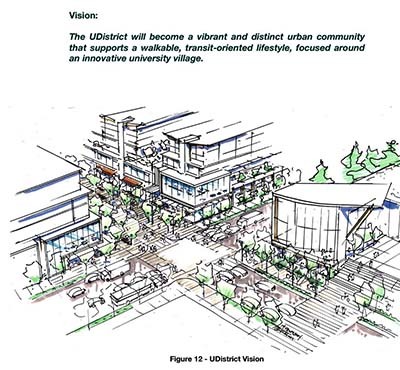 Toews and Neill will host a walk to share the U District vision for the University of the Fraser Valley. The walk will feature both UFV’s campus master plan and the newly adopted neighbourhood plan. Insights will be provided about developments on campus and the “complete neighbourhood” envisioned for the area.